SPY ETF / AAPL Price Volume Trend: A Tale of Two Worlds ? ​- In the case of Apple Shares, we are still far from the 50 DMA ( at 113.39 on October 7 ) ​( See Second Chart Below - Top Panel - Red Line - Ellipse )​ and still below the 20 DMA at 112.97. 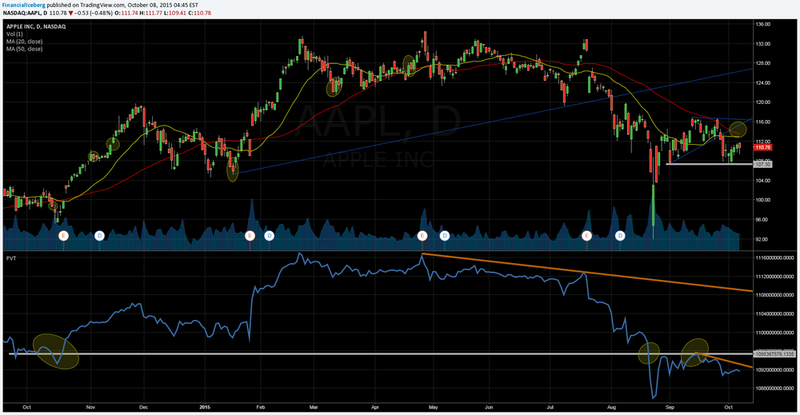 ( See First Chart Below - Top Panel - Yellow Line - Ellipse ) ​The 107.31 zone is the Last Defensive Line for Bulls on AAPL.